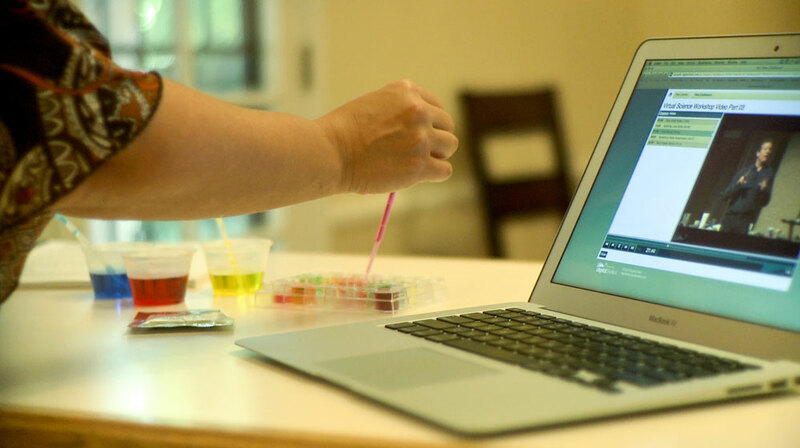 We’ve captured Steve Spangler’s passion for teaching science and created the first ever virtual hands-on science workshop for teachers… delivered right to your door. Steve Spangler’s virtual training workshops will empower you to use inquiry-based learning to promote exploration, increase student engagement, strengthen critical thinking skills and make science even more fun and meaningful for your students. Steve shares his proven strategies for turning ordinary activities into an unforgettable learning experience that will take your teaching to a whole new level! Click register and we’ll send Steve Spangler to you… so to speak. Over 20,000 educators have been trained in person as part of his live tour, and now you can discover the success of Steve’s instructional methods and hands-on approach without ever having to leave home! The cost of the workshop is $249 per person. Shipping & hands-on materials are included in the registration fee. IS THIS A SCIENCE CURRICULUM? Think of the Virtual Science Workshop as a learning lab for best practices, curriculum integration strategies and proven methods for increasing student engagement. Let’s start with your goal… If your goal is to get students doing more hands-on science, thinking like a scientist, writing like a science and using the scientific method to discover more about the world in which they live, this online science training is a cost-effective step in the right direction. Here’s our goal… We want to introduce participants to a variety of science demonstrations, experiments, and thought-provoking ideas that are intended to challenge inquisitive minds and open the doors to further exploration. These activities will spur discussion and reinforce fundamental scientific principles that are commonly taught at the elementary level. Most importantly, the questioning in each activity will prompt students to think more like scientists and to solve challenging problems using the basic principles of scientific inquiry. If you’ve ever attended one of Steve’s live Hands-on Science Boot Camps, you know that the ballroom is filled with educators that range from early childhood professionals all the way through high school and beyond. Since Steve is sharing best practices to increase student engagement and promote scientific inquiry, his methods and strategies are applicable to nearly any educator who wants to increase their effectiveness in the classroom. Maybe a recent workshop participant said it best, “This workshop is designed to meet the practical needs of any teacher who want to make science more exciting, stimulating and meaningful.” The curriculum covers themes such as air, color, light, magnets, weather, states of matter, chemistry, force and motion and Steve’s gooey supermarket science. You’ll participate in more than 30 eye-catching demonstrations and hands-on activities that help children pursue the why-factor of wonder, discovery, and exploration. Explore a number of great science ideas that encourage children to “play with a purpose.” By the end of the day, your head will be filled with creative ideas that you can put to use immediately. You’ll walk away with the knowledge, presentation skills, and tools to make science the favorite part of your teaching day. In other words, Steve Spangler’s Virtual Science Workshop is guaranteed to provide you with a whole new perspective on teaching science. 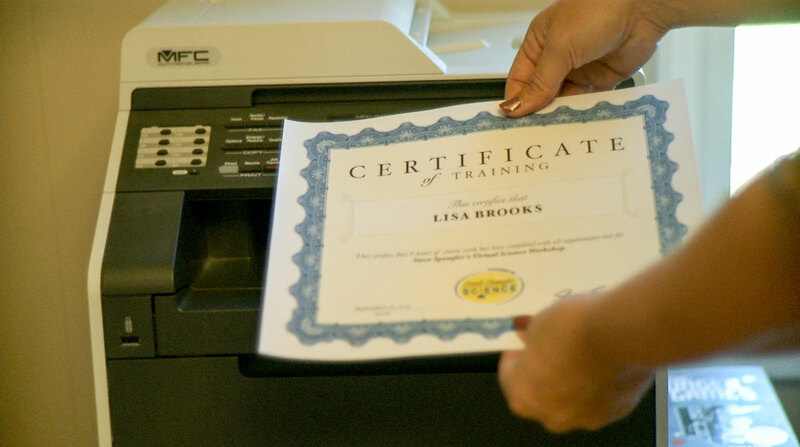 A receipt will be displayed when you register for the course that will be easy to print. We will also email you copy for your records. IS THERE A DISCOUNT FOR A GROUP? Yes! Just call 855-228-8780 to get your group setup. CAN I USE A PURCHASE ORDER TO REGISTER FOR THE EVENT? Yes! We do accept POs as payment for your registration. Please email your PO to speaking@stevespanglerscience.com or fax to 303-795-9936. To complete your registration please list each persons name, email address, and the best address to ship the kit to. HOW LONG DOES IT TAKE FOR ME TO RECEIVE MY KIT OF MATERIALS? Your materials will arrive with 5-7 days of registering for the workshop. It all starts with FedEx delivering the box of workshop materials to your door. From the moment you login to your account, you’ll be engaged as Steve guides you though the step-by-step process just as if you were with him live at the event. When you register for the workshop, you’ll also provide us with an address so that we can send you the same hands-on learning materials being used in the online training. You’ll conduct each of the experiments and activities at the same time you’re seeing them presented on your computer… and Steve will guide you through the step-by-step process just as if you were with him at the workshop. ONCE I AM REGISTERED WHERE DO I LOG IN TO ACCESS THE WORKSHOP? Trick question! This is an online course which allows you to take the course at your own pace. No airport or suitcase necessary! DOES THIS COURSE ALIGN WITH THE NEXT GENERATION SCIENCE STANDARDS? Yes! We know how important this has become so we have aligned the entire workshop to the Next Generation Science Standands and made Common Core connections as part of the course. Once registered you will have access to the PDF making all of the connections. You will be able to access the course for one year from the date of your registration. WILL THERE BE OTHER ONLINE COURSES I CAN TAKE? Yes! We are working hard on putting together new online courses that will be easily accessible. Stay tuned! HAVE OTHER QUESTIONS THAT WE HAVE NOT ANSWERED HERE? Registering by credit card is a fast and easy way for you to reserve your seat at the workshop. Your card will be charged when you register, and a receipt will be sent to you by email. Please call 855-228-8780 to register by check or purchase order. Online registration can only be made by credit card. An invoice will be sent out when paying by check or purchase order with payment due 30 days from your registration date. If you are paying by purchase order, please email your purchase order to carly@stevespangler.com or mail a copy of purchase order to the address listed below. Is it really possible to deliver a hands-on science workshop over the Internet? Under normal circumstance, the answer would be no… but there’s nothing normal when it comes to a Steve Spangler experience. When Steve challenged his team to create an online learning environment for teachers, he knew that nothing could replace the experience and energy of a live, one-on-one training. The challenge was to create an opportunity for the online learner to stay engaged using the same hands-on learning tools being used in the video presentation. Distance learning can be hands-on if you have the right tools and the right training strategy. 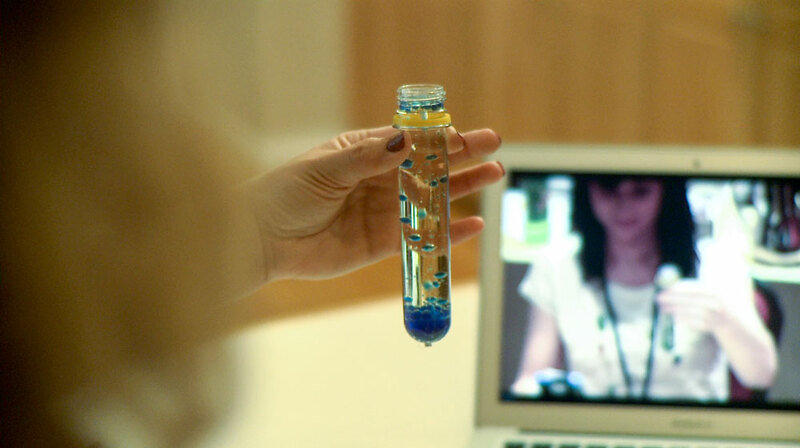 The Virtual Science Workshop is like basic training—quick, intense, and excellent preparation for the real-world application in the classroom. Teachers, like students, learn best by doing. This is not your ordinary sit-and-watch teacher training. The Virtual Science Workshop is an active participation workshop from the very beginning. Through examples of classroom applications, you will learn how to reinforce scientific concepts through hands-on activities and how to develop inquiry-based activities that promote exploration and strengthen critical thinking skills. You will receive a Survival Kit filled with gizmos, gadgets, and learning tools that will allow you to practice dozens of amazing and simple science activities with Steve during the workshop. The Survival Kit is yours to take home, along with a 65-page activity guide, to help you implement what you learned at the workshop and to get your students excited about science. In just one day, you’ll be well on your way to using Steve’s strategies for creating unforgettable learning experiences for your students. You’ll come away with the knowledge, preparation, tools, and confidence to become the best science teacher possible. It just wouldn’t be a Spangler experience without a box of goodies (we mean learning tools) at your fingertips. That’s why we’re sending you the same workshop kit you’ll see being used in the online training. You’ll conduct each of the experiments and activities at the same time you’re seeing them presented on your computer. Steve will guide you through the step-by-step process just as if you were with him at the workshop. We are excited to announce the launch of a new, online learning platform that brings the interaction and fun of a Spangler workshop experience to your home, school or any place you can find an Internet connection. This is not your typical webinar or a screen cast with a talking head and hundreds of slides. The Spangler Online Learning platform incorporates high definition video, interactive learning prompts, downloadable handouts, online assessments and even a certificate of completion to prove that you were indeed learning while sitting at home in your pajamas… if you’re into that kind of thing. No long road trips… no airports… no gas station burritos… no sharing a hotel room with five other people… enough said. We’ve captured 5 hours of high energy content and made it easy to access on the new Spangler Online Learning platform. The entire workshop has been divided into easy-to-manage learning segments that make it convenient to learn at your own pace. Start, stop and rewind to make sure you capture every aspect of this learning experience. Aside from all of the benefits of being able to take advantage of a professional development opportunity from the comfort of your home, there’s a real need for teacher training in the sciences. In fact, some experts argue that the single most important thing we could do moving forward in education is to provide our teachers with consistent, long-term, high-value professional development on a regular basis. Dr. Joanne Vasquez, member of the National Science Board, recently delivered the bad news in an open letter to the education community. “The recently released Trends in International Mathematics and Science Study 2003 (TIMS)—an international student assessment conducted in 15 countries and released on December 14, 2004—tells us that American fourth-graders are doing no better in science than they did in 1995. Ten years later, and still no progress has been made with our youngest learners. But why should we care if six-year olds take science or not? The answer is simple – because future innovations in science, technology, engineering, defense, national security, and a whole lot more could be at stake. Science instruction has come to a dismal halt or been severely curtailed in far too many elementary classrooms across the United States. While we do not argue that these subjects are also important, science, like all subjects, requires a developmental building of conceptual understanding that must start in kindergarten. Yet many students reach the intermediate and middle grades with little or no science instruction, and if they receive any, it happened when the teacher could squeeze it in. Yes, science is fun, but now we need creative ideas and strategies for integrating science into our curriculum. The goal of this professional development experience is to show elementary and middle school educators how to use proven best practices and teaching strategies to make science more exciting, more engaging, more interactive and more meaningful in their classroom. Teachers may earn graduate-level professional development semester credit, also known as professional development units, through our partnership with Brandman University. These credits are not part of a degree program, but instead are primarily used for professional advancement (such as salary increment steps and recertification). You can earn one credit by completing the Virtual Science Workshop. An application for credit is given at the end of the workshop and must be completed within one month of the workshop. Payment is due ($65) with your application and is sent directly to Brandman University. For additional information, please call the workshop coordinator, Carly Reed, at 855-228-8780. Steve Spangler will help you take the fear out of teaching science and become a more effective science teacher using simple and inexpensive materials… guaranteed! The goal of the professional development for science teachers is to introduce participants to a variety of science demonstrations, experiments, and thought-provoking ideas that are intended to challenge inquisitive minds and open the doors to further exploration. These activities will spur discussion and reinforce fundamental scientific principles that are commonly taught at the elementary level. Most importantly, the questioning in each activity will prompt students to think more like scientists and to solve challenging problems using the basic principles of scientific inquiry.